If goals equal entertainment then an entertaining yet pointless run out against fourth tier German minnows. A mandatory clause in the Headline Writer’s Code states that whenever a team has a player sent-off then a reference has to be made ’10 Man’ in the article’s heading; even if that dismissal occurs in the third minute of added time or in a meaningless friendly. It is, of course, highly unusual for anyone to receive a red card in a friendly game where standard practice is to ask the respective manager to replace the offending player. It requires a particularly officious and over-sensitive referee mit einem sehr kleinen bratwurst to disrupt a friendly game simply for a spot of perceived dissent. Mind you, it did seem rather out of character for Winston and hopefully it was not a symptom of any deeper attitude problem as a result of recent transfer speculation. It would be interesting to know the background to how and why this game was arranged as it all seemed somewhat unnecessary with the attitude and effort of the West Ham players suggesting that they weren’t really very bothered. It offered no contribution to building fitness and there was no cunning tactical experimentation from what I could tell. The game saw a typically slow start by the Hammers and all three of the conceded goals were sloppy and would have been easily preventable with better organisation. There were good strikes by Toni Martinez and Andre Ayew even though both were the result of long balls played hopefully forward. There was, however, a little late encouragement with a lively cameo from Javier Hernandez who really should have scored at least once. That Altona 93 are twinned with Dulwich Hamlet FC says a lot about their pedigree and aspirations. They are a regional fourth tier club in the German league system which presents a much tougher road to the top flight than for an equivalent League 2 side in England. A friendly game or not, a Premier League side should easily have enough of the basic skills and nous to ease past such opposition. If there was no intention to try why play the game in the first place? The club have even erased all evidence of the game from the first team fixtures list on the official website. It was disappointing to learn that two of the young players who had featured prominently in pre-season had been packed off on loan to Bolton Wanderers. Reece Burke and Josh Cullen will now embark on their third season of loan spells away from the club. Both have performed well in previous loans as regular starters which is not a common an occurrence for many of the youngsters that West Ham loan out, most of whom end up with bench warming duties and putting the cones out in training. At least these are not season long loans which means, I believe, that they can be recalled at any time; or in the extreme would be available to return in the January window. The pattern of using young players in pre-season games and then farming them out is a repeat from previous seasons and a strategy that I really don’t understand. The pre-season jamboree now moves on to Iceland and will be interesting to look out for Björgólfur Guðmundsson and Eggy Magnússon in the crowd at the Laugardalsvöllur stadium on Friday; that is if they aren’t in prison and can afford a ticket. My hope is that Manchester City take it easy on us and that we can avoid a confidence sapping drubbing before the real business gets underway the following weekend. 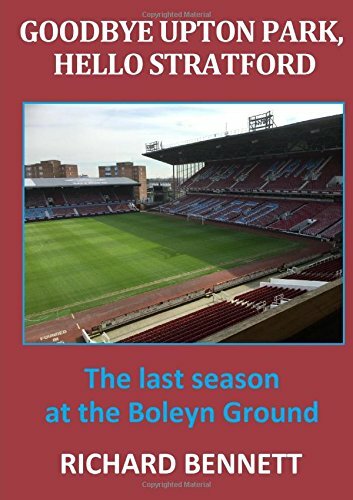 Previous Previous post: Betting on a West Ham Title Win: What Are The Chances?